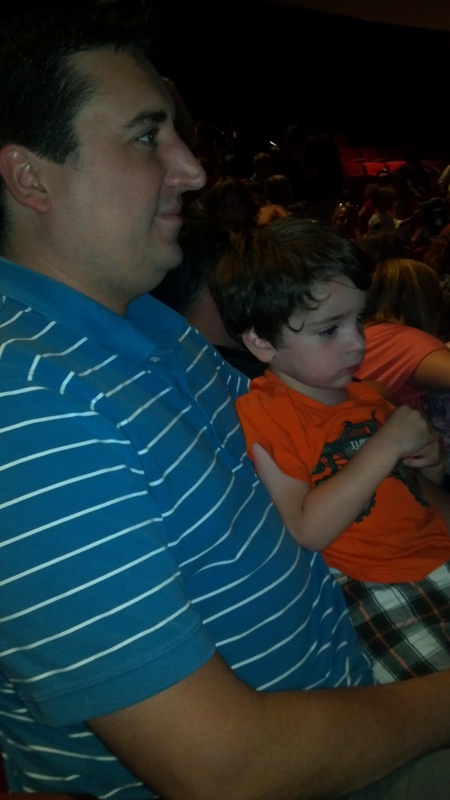 This weekend we took Tom to the see the live Super Why show. Super Why is yet another show on PBS. I wasn’t too sure how Tom would do, seeing as “sitting still in a seat” is not his strong point. I don’t think he’s ever done it before. But he did really great. He and the kid next to us loved that the seats flipped up, so they banged those seats up and down about 573 times before the show started. Once the show started he would go from being completely into it, to ready to “go home?” every few minutes, but he really only asked that a few times. He did really well and I was super impressed. I didn’t take my camera, so you’re stuck with one really not-so-awesome photo to prove we attended. You can’t tell he loved it? He did. You can tell he loved it? Totally did. It was a fun evening of just us with our little man. The rest of the weekend was spent doing laundry. 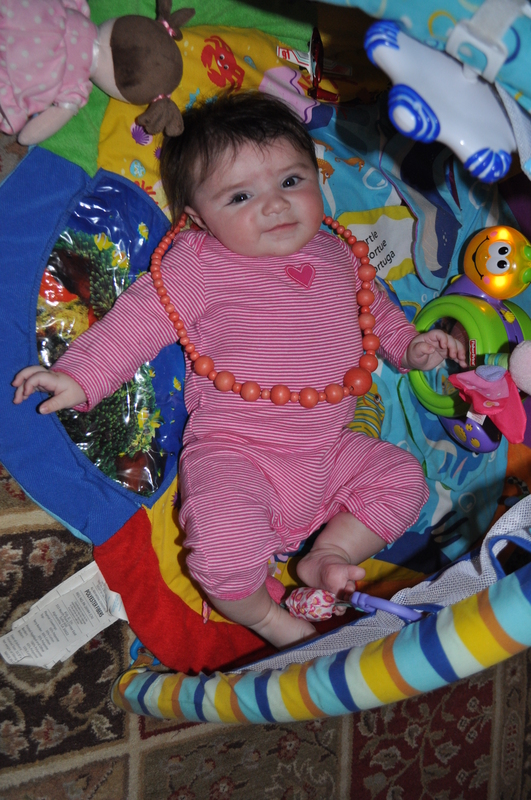 Tom thought Alice wanted to wear my necklace. Hope y’all have a great week!! LOVE! 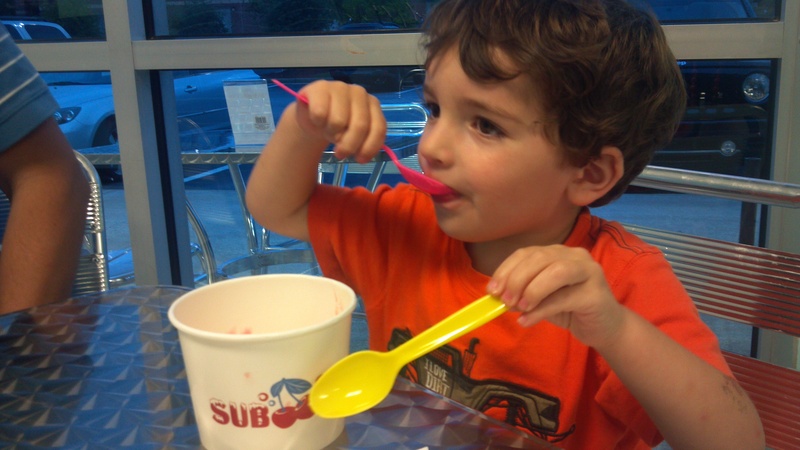 1 Response to Bits: Super Why Weekend.